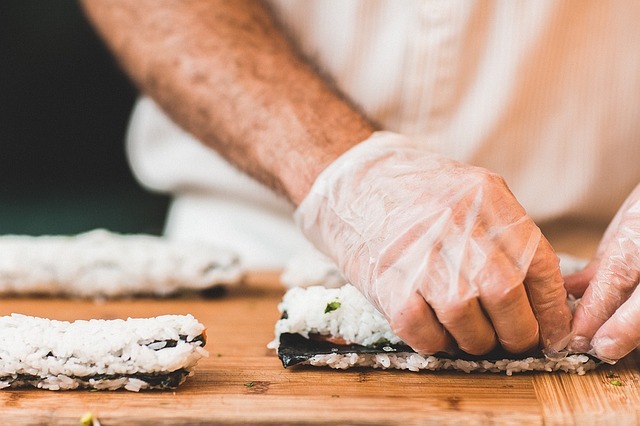 The chefs at Nama Sushi Bar rely on culinary traditions to craft their Japanese cuisine. You won’t find any trendy maki rolls, sushi, or sashimi on their menu. They believe in using high-grade fish and classic techniques to create the very best sushi possible, which is just what they’ve been doing since the sushi bar opened last fall. Gather with friends or family around a table at Nama to savor the fresh seafood. The menu features long lists of sushi and maki rolls, so take your pick. Try the simple yellowtail, sesame, and cucumber maki roll paired with albacore tuna or hamachi sushi. Beef up your dinner spread with a few of the small plates, many of them featuring fully cooked fare. Kobe sliders, shrimp tempura, and crab and cucumber salad are a few of your options.